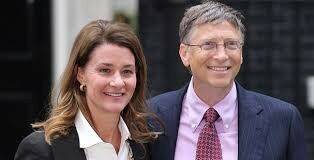 Bill and Melinda Gates announced a commitment in their annual letter for 2015 to support the creation of a global database of citizens, where people can register their interests in helping to fight global poverty. Especially in response to a global crisis like a pandemic, we need lists of trained personnel who can be mobilized, says Gates. But, in an Op-Ed in Techpresident David Karpf wonders whether such a database is really the answer: “The problem for social activism today isn’t that we lack a big database of contactable names. The problem is generating deep, lasting commitments, building ‘communities of fate,’ and leveraging the power necessary to take on powerful actors who have strong incentives to resist social activism.” Very true. Like the underpants gnomes of Southpark fame, Karpf suggests that the theory that collecting names will lead to impact is unfounded. More accurately, it is untested. He misses the point that the goal of such a project is (or at least should be) to test the hypothesis that by matching people to opportunities to serve that speak to their passions, skills, and abilities will increase engagement and improve problem solving. Director @TheGovLab, Prof @NYUTandon. Former @POTUS44 US Deputy CTO White House @OpenGov Initiative. Author, Smart Citizens, Smarter State (2015).